Services are provisioned on hostnodes featuring Dual Intel Xeon 5620 / 5639, 128GB RAM, 4 x 2TB HDD configured in hardware RAID10 with CacheVault. All services include SolusVM as the control panel, 1 IPv4 , full root access, instant setup, and best effort DDoS mitigation by QuadraNet Vest. 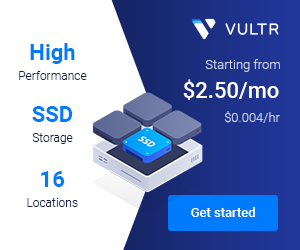 KVM, a leading virtualization platform, allows your VPS to work almost like a dedicated server with fully dedicated resources. KVM servers allow you to run your own kernels and support almost any operating system. Our premium KVM VPS hosting is powered by Hardware RAID10 + Caching which will keep your data safe. If you are searching for a new KVM VPS provider with better quality and better pricing look no further! Make the right choice today. Order Now – Instant Setup! tl;dr: We offer a 3-day money-back guarantee! We DO allow IRC, VPN, proxies, adult content, and video streaming. In general, any activity considered illegal in the United States is prohibited. For example, we do not allow spamming or using our services to send out malicious forms of traffic.